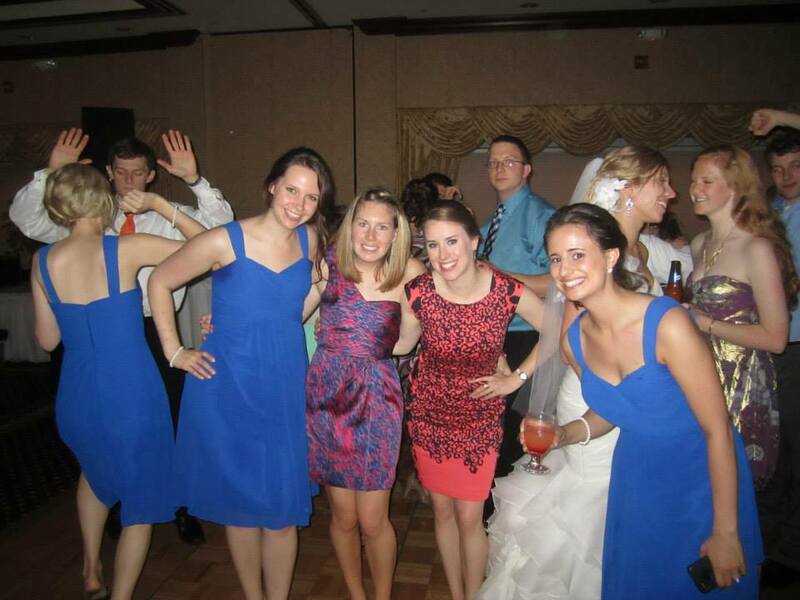 This past weekend was Jim and Christina's wedding and it was a blast! First of all, I need to tell you about my run on Friday evening before all the festivities, then I'll get to the fun stuff. I wanted to do 14 miles on Friday, but I just can never get motivated enough to run after work. First I met Angela at Starbucks for about half hour and then when I got home I knew I really need to just go run. I set out towards Wicker Park and did a loop around that general area, then back into Old Town. Since it was around 6:30pm when I started and a nice Friday evening, a lot of people were outside so it was difficult at times to weave in and out of people. This first 4-ish mile loop was hard mentally to get going and I really thought I might just stop when I got back into Old Town. But I knew I'd get back and be mad at myself and be in a bad mood still having like 3 hours to wait around. So I kept going and headed north to Wrigleyville...the Cubs game was just ending so that again was more people to navigate through. But after I got through that and headed south, I had my own space and just ran home, ending at what I mapped to be 11.8 miles in 1 hour 31 minutes. I get kind of skeptical sometimes with how accurate mapping actually is and I know sometimes I'll walk across the street instead of run and even little things like that can add up. So 11.8 in 1:31 would've been about 7:43 pace and I just didn't think I was going that fast, but who knows, maybe I was. I logged it as 11.6 though which would be about 7:51 pace just to be a little more conservative. I think maybe I will buy a Garmin; I imagine they'd be fairly accurate. After the run, I was so worn out. It was humid outside. I got home and chugged 2 bottles of water before I even showered. After my shower, I still had about 2 hours before Michael arrived and I didn't really want to eat since we were going to eat when he got here. I had not ate the energy Gu I brought with on the run, so I figured I'd have that. I personally like the taste of them. Unfortunately, I think they are more for energy and not to fill you up. It made my stomach hurt as I just watched TV. The rest of the Friday night and Saturday were a lot of fun! The wedding was beautiful and it was a very fun time to catch up with lots of friends. And to dance. The wedding meal was delicious. Michael and I got bagels in the morning and then I thought I wouldn't be able to eat again until dinner. But Glavin and Erika always come prepared with snacks, so I was able to snag a piece of bread with peanut butter...they even brought their own silverware. One casualty of the weekend was a pair of flip flops. On Sunday morning, I only had my heels, but luckily there was an Old Navy that we passed on the way to the pancake house where I could buy a new pair...actually 2 new pairs. They were 2 for $5. I can't not take a advantage of that. What is your favorite Gu flavor? My 2 favorites are Chocolate and Strawberry Banana.